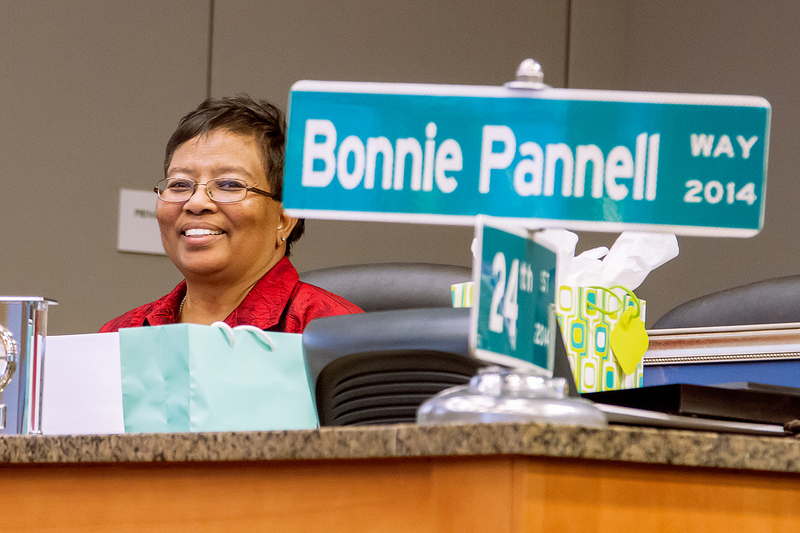 District 8 Councilwoman Bonnie Pannell enjoyed an evening of farewell wishes during her final council meeting Tuesday night. After being elected to Council following her late husband, Sam Pannell, Councilwoman Pannell led her district in achievements for 16 years. Councilwoman Pannell’s accomplishments, however, are numerous. Playing a key role in her neighborhood, Pannell worked to increase the positive image of her district. Public service included advocating for swimming pools in the local neighborhood as well as organizing concerts. Further, Pannell was a driving force in removing absentee property owners and gangs from what is now recognized as Phoenix Park. On Tuesday, the City Council voted to place her name on her district’s gem – now deemed the Samuel and Bonnie Pannell Community Center on Meadowview Road. The City wishes an enjoyable retirement for Councilmember Bonnie Pannell. Don’t forget to check out more photos from the evening. Next PostThe City wants to know your thoughts! How are you helping to spare the water?